In all plumages has characteristic yellow vent and undertail-coverts, greyish back, no obvious covert-bars but bold white translucent bar at base of flight-feathers (visible in flight), very long tail and extremely undulating flight. Male in summer has black throat bordered by white stripe below; female has less black or even whitish throat; immature has white throat and buff, not yellow breast. Legs pinkish brown (black in other wagtails). 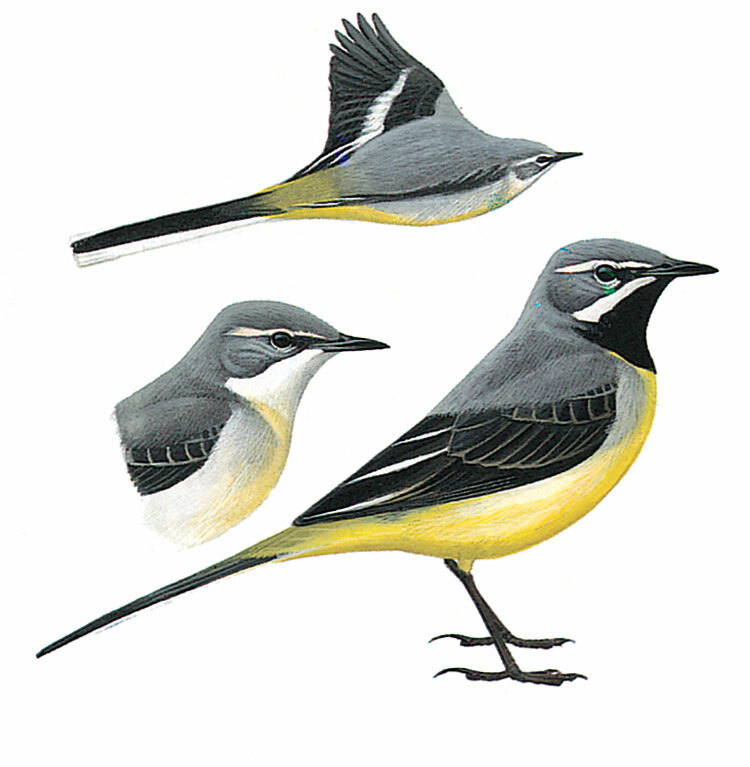 Has more pronounced tail-wagging than other wagtails.